Make perfect baked potatoes in the microwave or heat a bowl of soup without burning your fingers. 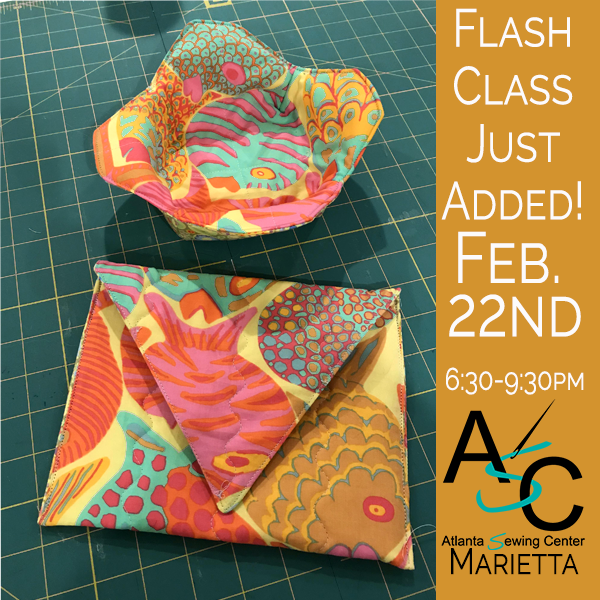 Class participants will complete one potato bag and one bowl while perfecting basic sewing skills. Bring your machine and a desire fun fun with sewing friends.